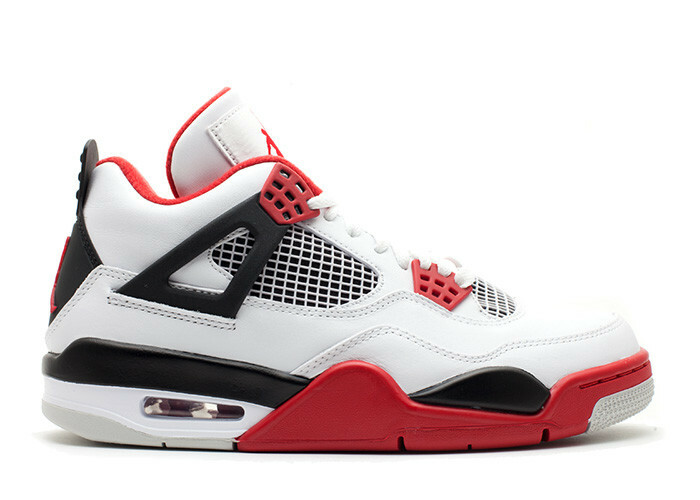 Debuting back in 1989, the Air Jordan 4 "Fire Red" is one of the truest sneakers sporting the bulls colorway. The sneaker undertakes a white leather upper with black and red finished throughout the design. What may be one of the cleanest Air Jordan 4s we've seen, it wouldn't be a surprise if we see these retro more often.